Dieter Dierks - bass, percussion. Ash Ra Tempel was a German band centered around innovative guitarist Manuel Gottsching. 'Starring Rosi' is not as 'cosmic' as the previous albums but certainly has its moments. It is also quite accessible. Rosi Muller was Manuel's girlfriend at the time of this album and she contributes spoken words throughout, and to good effect. 'Laughter Loving' is a lengthy, cheerful song (with hints of country-rock) which features wonderful wah-wah guitaring, some synth, and a strong rhythmic prescence, with some echoed laughing from Rosi at the start. 'Day-Dream' is just that - a very stoned, 2 chord sequence, strummed on acoustic guitar with some nice lead electric guitar lines, with spoken lines from Rosi, repeated by Manuel's singing. Nice, for sure. Next up is an all-too- brief instrumental piece 'Schizo', which creates a very detatched, spacey atmosphere, built around Manuel's affected and highly emotive guitar-lines. This could've been a side-long jam. 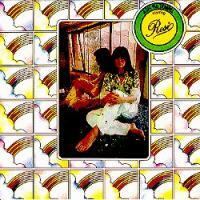 'Cosmic Tango' is a funky little number, with Rosi's take on space-whisper (not unlike Gong's Gilli Smyth) and is pretty cool. 'Interplay of Forces' starts out with the most spacey section of the album, again reminding one of French space-rockers Gong, it then gives way to another lengthy jam in the same style as 'Laughter Loving'. 'The Fairy Dance' is a pretty little instrumental track, with some synth and Mellotron to boot, very pastoral. Last song is 'Bring Me Up', which is a funky, blues tune, with a jammy vibe and more of Manuel's magical guitaring. Tom Ozric As the title suggests, this is Manuel Gottsching's "let's have my girlfriend talk or sing over all the tracks" album. That said, it's not too bad, but I certainly don't love all the songs here. The album opener, "Laughter Loving," begins with Rosi laughing obnoxiously into an echo effect, followed by a suprisingly cheerful guitar jam. Cheerful (to not call it loopy) for a guy who made some intense, brain-searing music just a few years prior. Anyway, the next track, "Day Dream," has grown on me in a big way: it features acoustic strumming and gentle electric soloing over which Manuel and his girlfriend sing quite pleasantly, in a call-and-response fashion. "Schizo" and "The Fairy Dance" are also winners, each summoning up a brief slice of classic Ash Ra atmosphere -- the sort of stuff he would explore at greater length on other releases. "Bring Me Up" is back in goofy-jam territory, but it doesn't bother me much and the guitar playing is quite good. All in all, fans of Gottsching's music will enjoy this album, but don't come looking for "Amboss."